Global Forum on Health Promotion, October 16-18, 2016, Charlottetown, Prince Edward Island. I am honoured to be here in Mi’kmaq territory. The purpose of this session is to provoke critical and creative thinking about the interface between climate change, sustainability, and ecosystem integrity from a governance. To consider, through the collective wisdom of the room, the CHALLENGES and OPPORTUNITIES in ensuring that health promotion as a salient, hopefully more than relevant, but essential practice in confronting this most “wicked governance problem” of our present epoch. As leadoff hitter, I will try to get us on base in the form of a “bigger picture perspective,” based largely on my own observations and critiques of the health promotion where over the past two decades I have been “working at the margins” in the area of environmental justice and health inequity, largely in the Canadian context. To begin, let’s take a measure of where we are at right now as a practice, a field, a profession, and a discourse vis-à-vis the globally accelerating climate change fight. In large part, I think this is a fairly foggy picture both in Canada and globally. I see sparks of inspiration from some academic circles in and in community health promotion leadership. But by and large I find myself hard pressed to see mainstream health promotion even showing up to the game. The global picture I think is more promising – but even here, as the second half of the quote suggests – we have a problem of attribution. Certainly the population health and health inequities resulting from climate change impacts are already very real to many communities. And some of the world’s most affected locales are already thinking creatively and taking bold action to better prepare for, and to prevent the worsening of, local climate change impacts. But seldom are such efforts inspired by health promotion. But is this just a question of an out-dated Charter? or is there something more fundamental at issue? If our purpose here is to position the field for the next 30 years via an inspiring, and transformative “new perspective” in health promotion (to use an even older turn of phrase than the Charter), then we need to do more than “fiddle with the edges.” We need to get beyond the platitudes that have comforted us for so very long. What we need is a fundamentally a new vocabulary that will articulate a new ontology of health, a new politics of health promotion, a radical re-alignment of our practice that looks beyond, well beyond, the language of our predecessors, a language that has been, situated for the past decades, as a sort of subaltern discourse of health spoken from the margins of biomedicine. I think we ought to be inspired by what is now happening at the front lines of the climate change and sustainability fight. By virtue of the proximity between change and impact, but also because of a global surge of new leadership in recent years, Indigenous ways of knowing and Indigenous environmental movements are now firmly at the cutting edge of environmental protection, environmental justice, and the global sustainability movement. 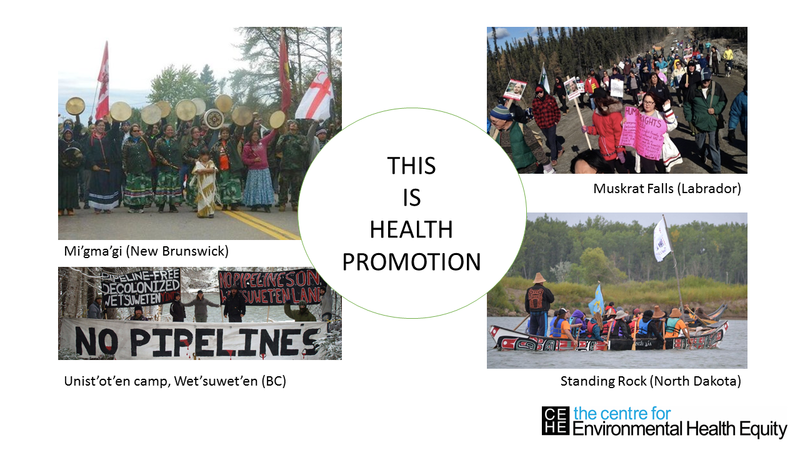 Here in North America, it is places like Unist’ot’en, Grassy Narrows, Standing Rock, and this week Muskrat Falls, where we find a form of radical and transformative health promotion practice, where people are coming together to not only helping to keep the oil in the ground and the methyl mercury out of our children, but to give the rest of us breathing space to imagine an alternative future, a way of knowing, of living, and of being in the world, being on the land. These ideas are not “new”. They are ancient, transcultural, and deeply human. But we have a bit of a problem in health promotion don’t we? Because the “original sin” of the Ottawa Charter was its total exclusion of Indigenous ways of knowing about health. 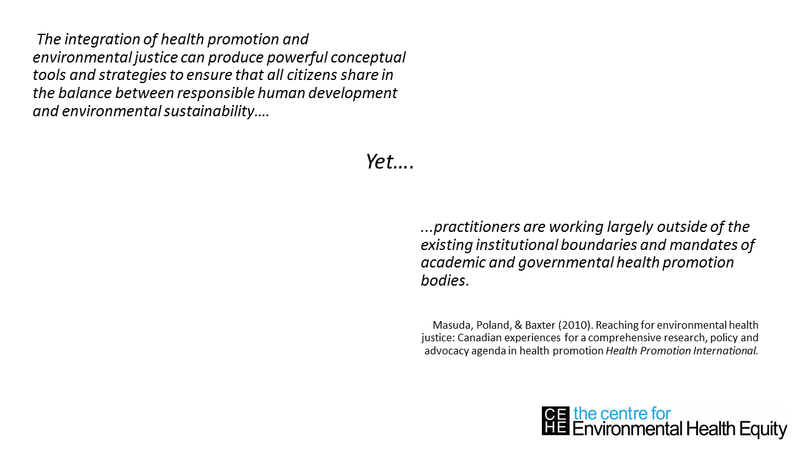 This point was made in an important, if late in coming, paper by Karen McPhail-Bell, Bronwyn Fredericks, and Mark Brough published a few years ago in Global Health Promotion. They were scathing in their critique of the Ottawa Charter, for being “beyond critique,” a sort of sacred cow marching to the drumbeat of accolades it has received for the last 30 years. But they view the Ottawa Charter and the process leading up to it as being too “white,” too “north,” and thus too “elite”, even while borrowing, and some may argue co-opting, Indigenous epistemologies of wellbeing, or “being well” as intimately connected to an ecological way of life. And so, if climate change action requires us first and foremost to decolonize global environmental governance systems, then so too must health promotion be decolonized if it is to find its voice at the sharp end of the climate change fight. While there is an entirely other session happening right now in another room that deals with Indigenous perspectives of health promotion, we cannot let issues of Indigeneity be pigeon holed into an area called “Community Action” alone. We are beyond the era of “putting Indigenous people in their place” as victims or targets of our interventions and goodwill. Rather, Indigenous ways of knowing, Indigenous priorities, and global Indigenous experiences of struggle and leadership, and Indigenous systems of environmental stewardship and governance must run through the entire program of this forum, through all five key areas of health promotion, and through the Declaration itself. This is not only to say merely that we ought to do better in accounting for Indigenous health inequities related to climate change. And we must certainly do more than to medicalize climate change as we have done to our bodies, our everyday lives, and our communities in order to justify ourselves and our role in the global climate justice campaign. 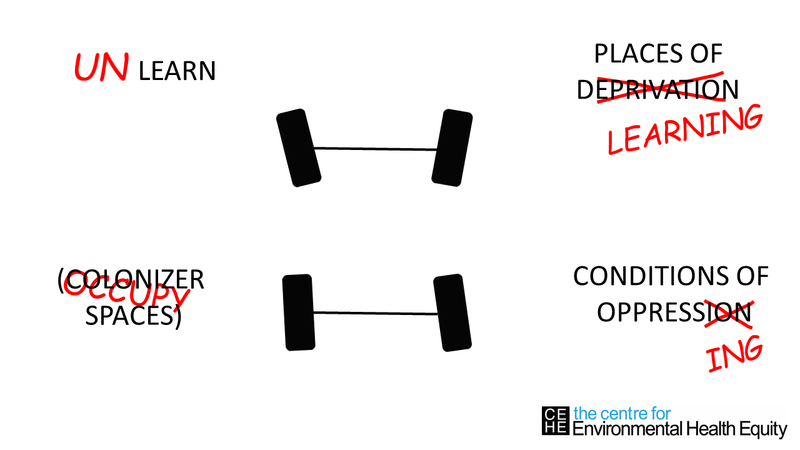 The first realignment is to learn how to unlearn. For settler professionals, settler epistemologies and discourses, and settler dominated institutions, we can do this by speaking less and listening more. Declaring less, and asking more. By “leading” less, and “following” more. We can do this by suspending our proclivity to judge, coopt, or subordinate “others'” claims to authority as a way of securing and our own fragile but comfortable ontologies, and instead accepting the inherent discomfort of being called out for our institutional and structural colonialism and racism. 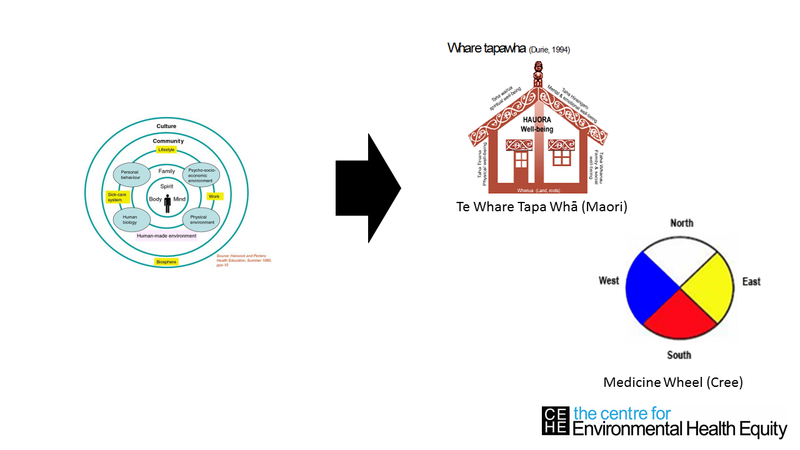 A second realignment, perhaps where we, who are In the fields of community based research and practice, can contribute, is to support efforts to occupy “colonizer spaces” such as in cities and other places where Indigenous peoples face disproportionate harms because they are denied their right to health, to housing, to ecological integrity and to the recognition and capacity to mobilize by virtue of their socioeconomic marginalization, racialization, and exclusion from, or worse, objectification in, mainstream discourses of health. In a third realignment we might move away from our institutional dependence on “advocating” FOR the deprived toward an approach that advocates FROM places of deprivation, transforming them into places of learning – and here is where I find the declaration and its positioning of civil society most promising. In our advocacy we uphold a deficit-based ontology of health that has “othered” those among us who are poor, racialized, differently abled, gendered, and so on, even while claiming to “empower them” or perhaps even “liberate them.” Especially in regard to questions of sustainable collective lifestyle transformations, wouldn’t we all agree that there is much more to be gained from taking an appreciative view of those who, by necessity, have relied on public transit, biking, or walking, forms of inhabitation and consumption that have far smaller carbon footprints, and cultural lifestyles that are focused more on collective interdependence and community and being on the land, rather than neoliberal individualism and conspicuous consumption, including ecological consumption? Sustainability is not something that we can just add to the shopping list. The fourth realignment is to position ourselves toward a new object of disdain and contempt – not of the woeful conditions and behaviours of the oppressed, but rather of the thoroughly unsustainable and privileged conditions of those doing the oppressing. Critical race theorist and geographer Laura Pulido recently wrote,“In this era of global environmental crises, we desperately need to be able to identify culprits and name names, so that the global community will understand who the guilty parties are and how we should respond to them. So why, in thirty years of health promotion, do we still rarely if ever point our fingers to the elephant that is in the room? I had the opportunity to hear a little bit more about what Ilona Kickbusch has to say on the matter in a keynote she gave last week at a health promotion conference in Norway, and was thrilled to hear her calling out global neoliberalism as the fundamental root cause of the present ecological crisis and the main priority for health promotion. There is a huge appetite among health promotion thought leaders these days for more social and political sciences to inform our perspectives, and in particular those that have given us critical lenses into global capitalism and its twin handmaidens neoliberalism and colonialism, as a source for new theoretical and political centring of health promotion that will once and for all put aside our long inheritance in the behaviouralism, rational choice, and evidence based everything that has dominated health promotion implementation despite our best efforts. Let’s face it, in 1986, neoliberalism was just a petulant 10 year old brat. Now, in 2016, it is a middle aged, sociopathic monster. 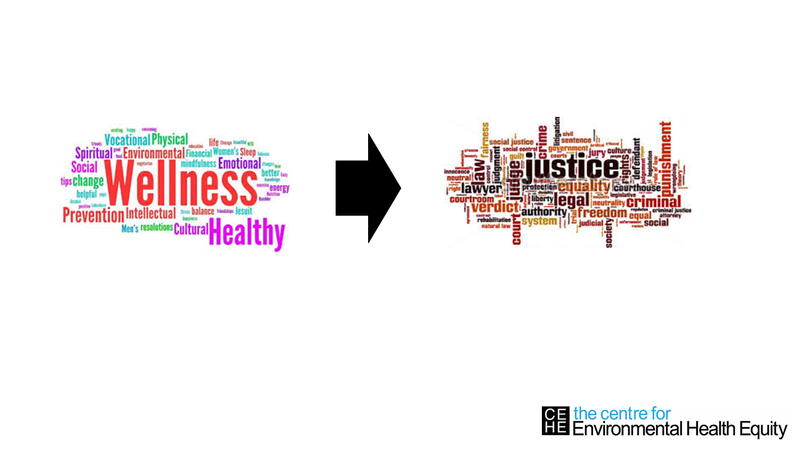 In summary, 15 years ago when I was writing my Master’s thesis on environmental health promotion, I was arguing for even just a tiny little foothold in the broader field, inspired as I was by the socioecological approach, by the stalwarts of the Ottawa Charter, many among whom I have counted as mentors, and the vision that the Ottawa Charter set out for my own career. But now that I’m further along, I feel that the era of “gratitude” has turned more toward an dissatisfaction and impatience with “platitude,” and I’ve chosen to develop a little more “attitude” in my critiques and prescriptions for a health promotion that is fit for the anthropocene. I believe that ALL health promotion must become ecological health promotion. To do so, I call for shift away from our place within a broader institutional field that suffers from impoverished and ecologically alienated discourses when it comes to meaningfully engaging in the present global ecological crisis. We must rather find more ways to align ourselves with the thought leaders and change agents that are now mobilizing en masse within academia, within the community, within social media, and within global social movements that are our best chance of saving humanity from itself in the 30 years that we have left to reverse the worse effects of the collision course that we are presently on. (1) Crate, S. A., & Nuttall, M. (Eds.). (2016). Anthropology and climate change: from encounters to actions. Routledge.